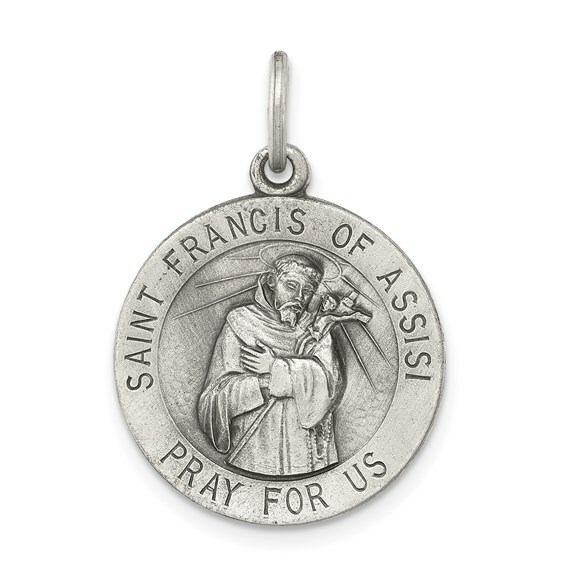 Sterling silver round St. Francis of Assisi medal has a satin finish with antiquing. 3/4in x 3/4in without bail. This item is the size of a penny. Patron saint of merchants, Catholic action and Italy. Weight: 2.5 grams. Made in the USA.